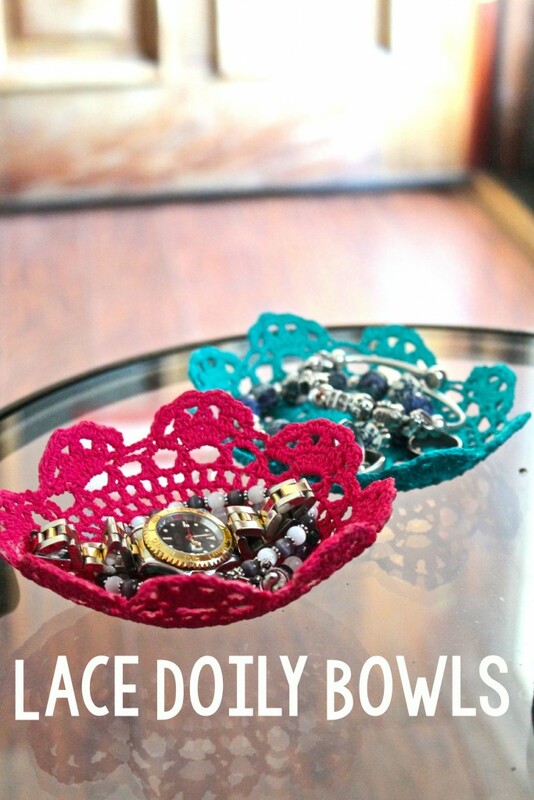 Check out this fun DIY Lace Doily Bowl tutorial. You will not believe how colorful these can be and EASY! We hope that you enjoy. Hey everyone! Courtney is in Tennessee this week and we’re working on a LOT of fun DIYs that we cannot wait to share this summer. 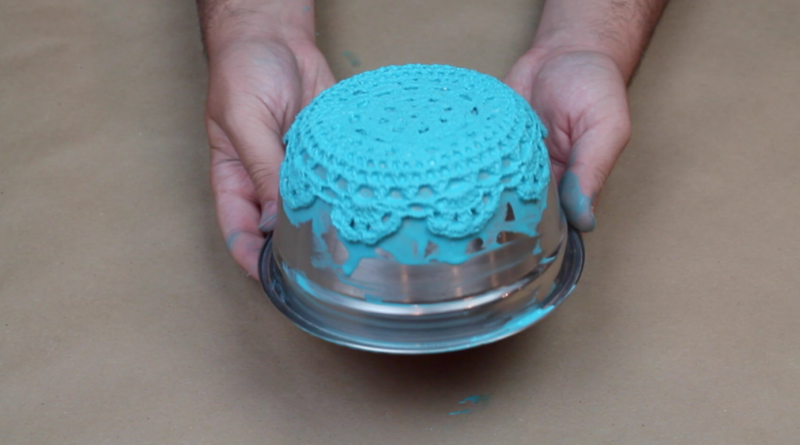 Today I’m going to share with you a fun DIY Lace Doily Bowl tutorial that I created last week and shared the video over on my Youtube channel. Everyone has loved it over their, so I thought I would share the step out tutorial with you today. Let’s jump into it. 1. 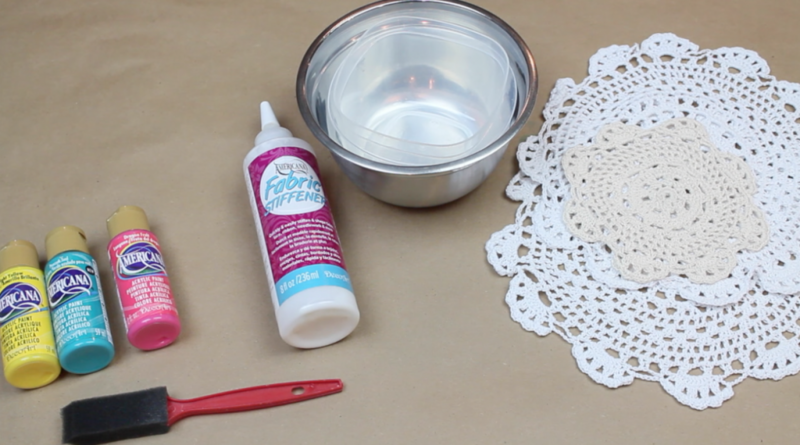 Pour Fabric Stiffener into a mixing bowl. 2. Apply a few drops of Americana Acrylics to the mixture and stir. 3. Saturate your doily and apply onto the bowl and let sit for 24 hours. 4. 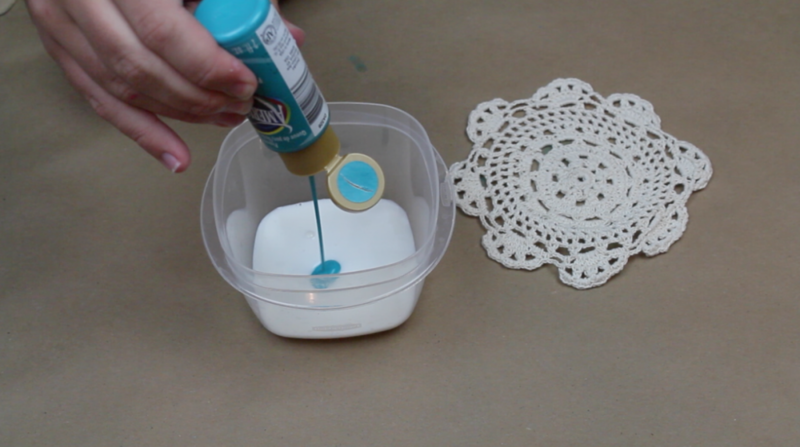 After 24 hours, remove from the bowl and you can see how you now have a doily bowl you can add jewelry or candy into it. 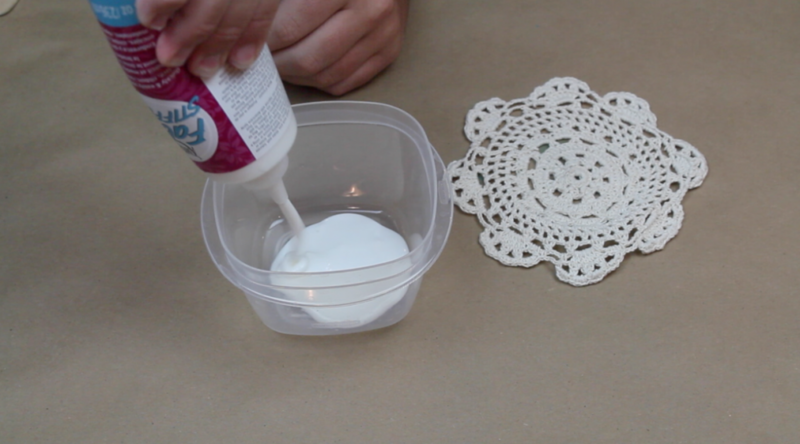 Hope you enjoyed this DIY Lace Doily Bowl tutorial. I really enjoyed creating these and I know my mom is really going to enjoy these bowls for her jewelry. This post was sponsored by Darice and DecoArt. Thank you for supporting our brand partners who make A Little Craft In Your Day possible!